Smart Dust Is Coming. Are You Ready? Imagine a world where wireless devices are as small as a grain of salt. These miniaturised devices have sensors, cameras and communication mechanisms to transmit the data they collect back to a base in order to process. Today, you no longer have to imagine it: microelectromechanical systems (MEMS), often called motes, are real and they very well could be coming to a neighbourhood near you. Whether this fact excites or strikes fear in you it’s good to know what it’s all about. What can smart dust do? Outfitted with miniature sensors, MEMS can detect everything from light to vibrations to temperature. With an incredible amount of power packed into its small size, MEMS combine sensing, an autonomous power supply, computing and wireless communication in a space that is typically only a few millimetres in volume. With such a small size, these devices can stay suspended in an environment just like a particle of dust. Since the components that make up these devices are 3D printed as one piece on a commercially available 3D printer, an incredible amount of complexity can be handled and some previous manufacturing barriers that restricted how small you can make things were overcome. The optical lenses that are created for these miniaturised sensors can achieve the finest quality images. Monitor crops in an unprecedented scale to determine watering, fertilisation and pest-control needs. Monitor equipment to facilitate more timely maintenance. Identify weaknesses and corrosion prior to a system failure. Enable wireless monitoring of people and products for security purposes. Measuring anything that can be measured nearly anywhere. Enhance inventory control with MEMS to track products from manufacturing facility shelves to boxes to palettes to shipping vessels to trucks to retail shelves. Possible applications for the healthcare industry are immense from diagnostic procedures without surgery to monitoring devices that help people with disabilities interact with tools that help them live independently. Researchers at UC Berkeley published a paper about the potential for neural dust, an implantable system to be sprinkled on the human brain, to provide feedback about brain functionality. Many that have reservations about the real-world implications of smart dust are concerned about privacy issues. Since smart dust devices are miniature sensors they can record anything that they are programmed to record. Since they are so small, they are difficult to detect. Your imagination can run wild regarding the negative privacy implications when smart dust falls into the wrong hands. Once billions of smart dust devices are deployed over an area it would be difficult to retrieve or capture them if necessary. Given how small they are, it would be challenging to detect them if you weren’t made aware of their presence. The volume of smart dust that could be engaged by a rogue individual, company or government to do harm would make it challenging for the authorities to control if necessary. As with any new technology, the cost to implement a smart dust system that includes the satellites and other elements required for full implementation is high. Until costs come down, it will be technology out of reach for many. What should you do to prepare? The entities who have led the development of smart dust technology since 1992 and large corporations such as General Electric, Cargill, IBM, Cisco Systems and more who invested in research for smart dust and viable applications believe this technology will be disruptive to economies and our world. 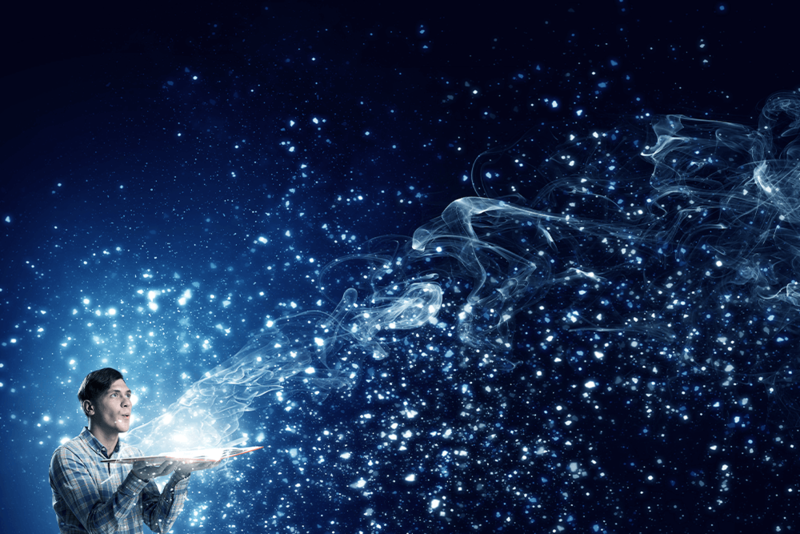 At the moment, many of the applications for smart dust are still in the concept stage. In fact, Gartner listed smart dust technology for the first time in its Gartner Hype Cycle in 2016. While the technology has forward momentum, there’s still quite a bit to resolve before you will see it impacting your organisation. However, it’s important to pay attention to its trajectory of growth, because it’s no longer the fodder of science fiction. We might not know when it will progress to the point of wide-scale adoption, but we certainly know it’s a question of when rather than if.